In May 2017, The International Jurist released its latest issue featuring the best LL.M. programs. 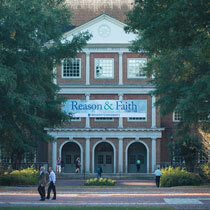 Regent University’s School of Law (LAW) received an “A+” ranking in its “Best Value Law Schools” category. The issue honors “the most robust programs for foreign attorneys” in the areas of Academics, Best Law School, Experience, Career Opportunities and Best Value. Regent’s LL.M. programs were ranked above law schools such as UNC School of Law, Wake Forest University, Georgia State University and Ohio State University. The LL.M. programs – which include both American Legal Studies and Human Rights – are designed for students who have already received JDs and wish to pursue more concentrated areas of study. The American Legal Studies program is an online, on-campus or hybrid concentration of study geared for graduates of accredited law institutions outside the United States who are fulfilling requirements to practice American law. The LL.M. in Human Rights is offered exclusively on campus, providing a biblical focus of study for those seeking advanced learning in international, regional and domestic human rights. The rankings for “Best Value” considered whether LL.M. students could participate in law journals, the typical foreign student enrollment, percentage of students receiving a scholarship, and room and board costs for one year. Apart from the “value” of the LL.M. programs as distinguished by The International Jurist, McKee believes their true worth is found in the credentials of the faculty and the rigor of the courses themselves.